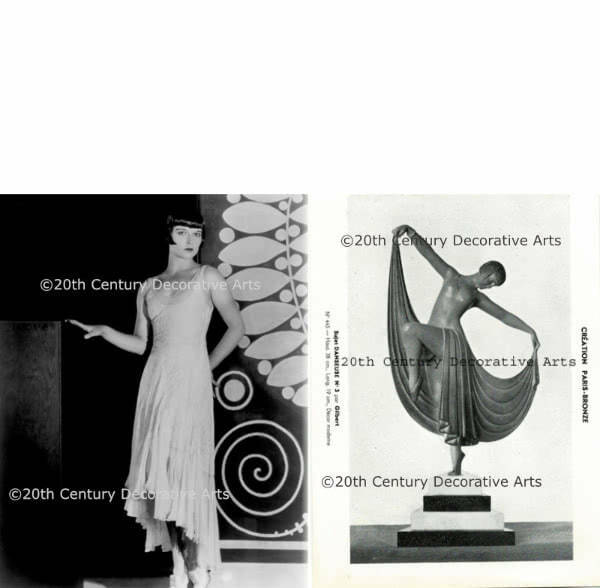 Above is a photo of Louise Brooks and an original trade photograph from a 1930's Silvin - Paris catalogue. 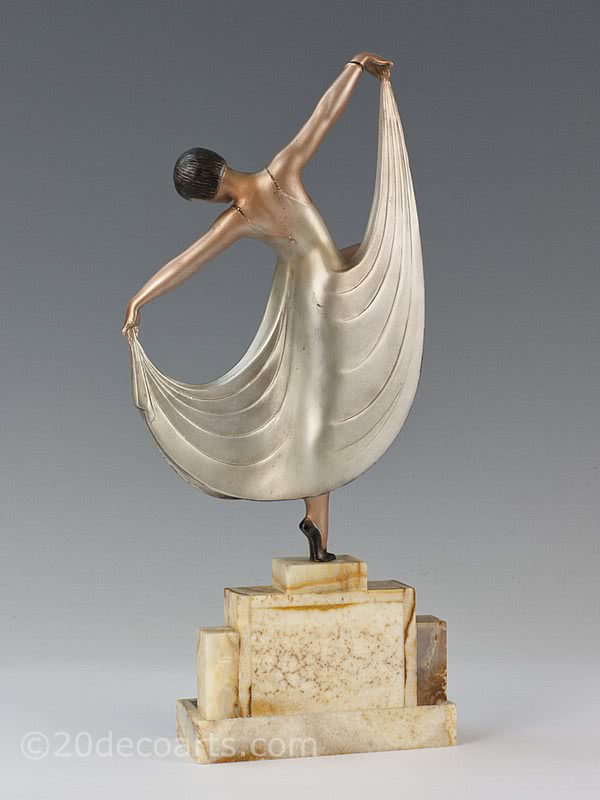 An Art Deco spelter figure by Gilbert (Danseuse Nº 3), France c 1930, mounted on an extravagant marble, onyx and chromed metal base. 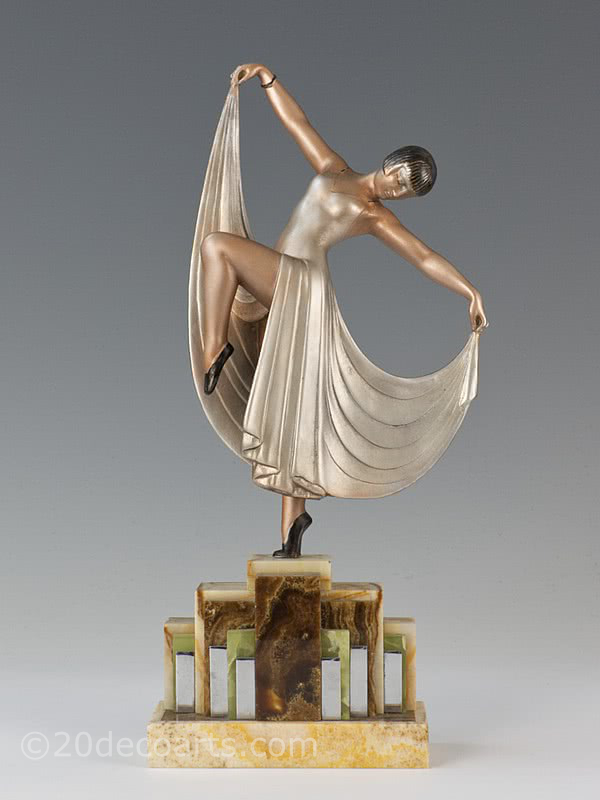 This sculpture depicts either the actress Louise brooks or the more famous at that time Colleen Moore. 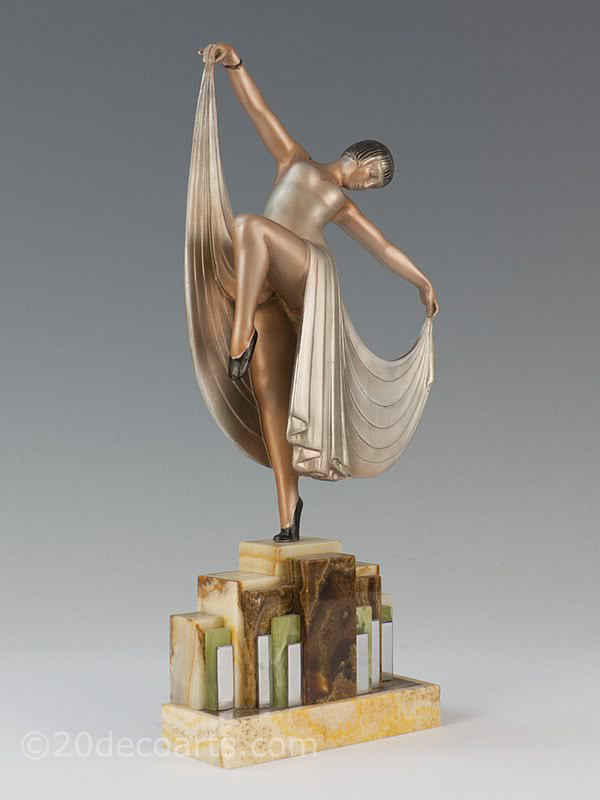 An iconic statue of the Art Deco era, the bobbed hair and classic pose make for an outstanding sculpture; pure Hollywood!